If you think legalization has reduced the number of marijuana arrests in the country, think again – the arrest rates are still outrageous. According to the FBI Uniform Crime Report, every 45 seconds a person is arrested for a marijuana-related crime. The FBI claims that marijuana-related arrests increased in 2014, the first time this statistic has gone up since 2009. The report shows that in 2013, there were 693,482 marijuana arrests but that number increased to 700,993 in 2014—90% of these arrests were for simple possession. The numbers just don’t make sense. The majority of tax paying Americans support marijuana legalization. Whether supporters are in favor of legalization because they need access to the valuable medicinal qualities of marijuana, or because they are just plain tired of hearing about it, there is no reason why federal agencies should be arresting people so frequently. Federal and often state law enforcement agencies are annually gifted with hefty budgets that are disproportionately spent on policing non-violent crimes like marijuana possession when over 50% of violent crimes go unsolved on average in the nation. Long overdue is the reassessment of federal law enforcement’s focus on marijuana persecution. No longer does the public believe the federal government’s propaganda about marijuana use, so there is no justification for the continued invasion of our rights. 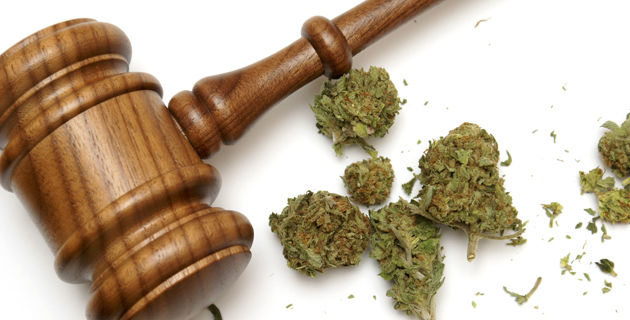 In courts across America, judges are ruling in favor of marijuana patients who are caught with what they consider to be valuable medicine. This should not be a surprise—it should just be. States that have legalized marijuana use, like Colorado and Washington D.C., have seen significant decreases in marijuana-related arrests. The goal is not to simply reduce marijuana-related arrests; it is to reduce unnecessary marijuana-related arrests. It is certainly true that there is organized crime involvement in the marijuana industry, and agencies like the FBI and DEA have every right to go after these groups. But they should not attempt to protect their operating budgets through padded arrest records that victimize medical and recreational marijuana users. Arresting someone every 45 seconds for anything is just absurd, but perhaps if the federal government eased up on marijuana, they could start arresting murderers and rapists at the same rate. Until we are able to untangle the relationship of money, power, and marijuana, the government will continue its war on marijuana. What do you think about these ridiculous arrest rates? Let us know on social media.